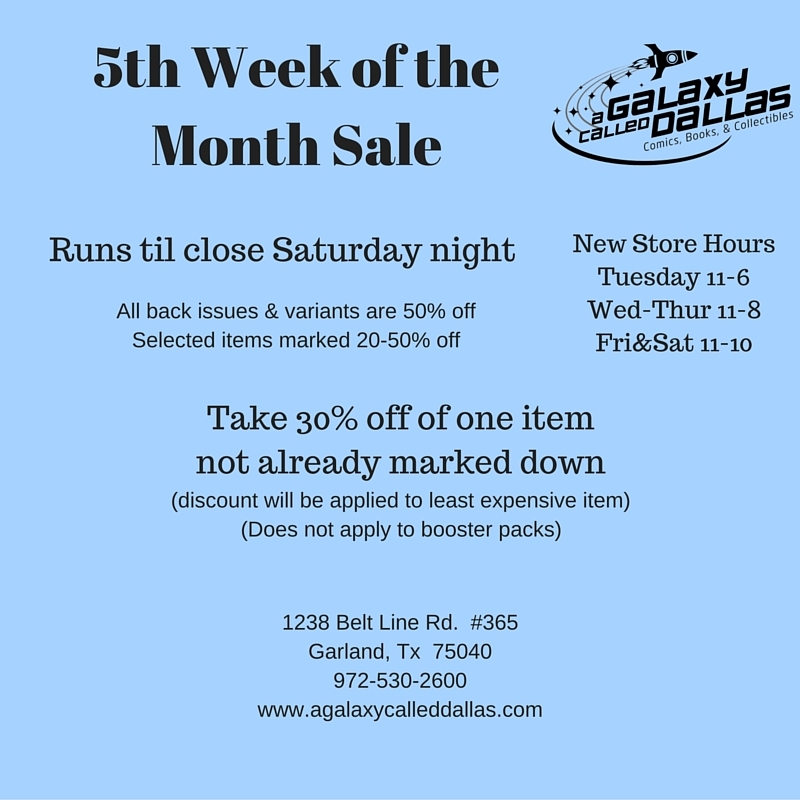 5th Week of the Month Sale will run until close of business Saturday night at 8pm. All back issues and variants are 50% off, while other select items are 20-50% off. If none of those items float you boat, then take 30% off of one item that isn't already marked down.